Posted by Ali Kane on Tuesday, March 27th, 2018 at 1:57pm. Easter is just around the corner and so are the fun Easter Egg Hunts for kids filled with candy and treats to celebrate the upcoming holiday. Here is a list of some of the best Easter Egg Hunts going on in Palm Beach County this weekend. Howard Park in West Palm Beach is hosting the event this Saturday, March 31st. The Spring Fling and Brunch will feature an all you can eat breakfast with the Easter Bunny from 10:15 am to 11:45 am. The egg hunt starts at 10 am with thousands of eggs for children 12 and under. The Easter Egg Hunt is free, and the brunch is $3 dollars for children and $5 dollars for adults. Call 561-804-4900 for more information. The Jupiter Community Center Park on Church Street is hosting their free Easter Egg Hunt this Saturday, March 31st. The egg hunt will be divided by age group and is for children 10 and under. Guests are asked to bring their own baskets to store all the eggs and candy in. There will also be face painting, bounce houses, arts and crafts, and a toddler play area. The Easter Bunny will be there to take pictures. Visit www.jupiter.fl.us for more information. The Museum in Palm Beach is hosting their annual event Saturday, March 31st starting at 9 am. 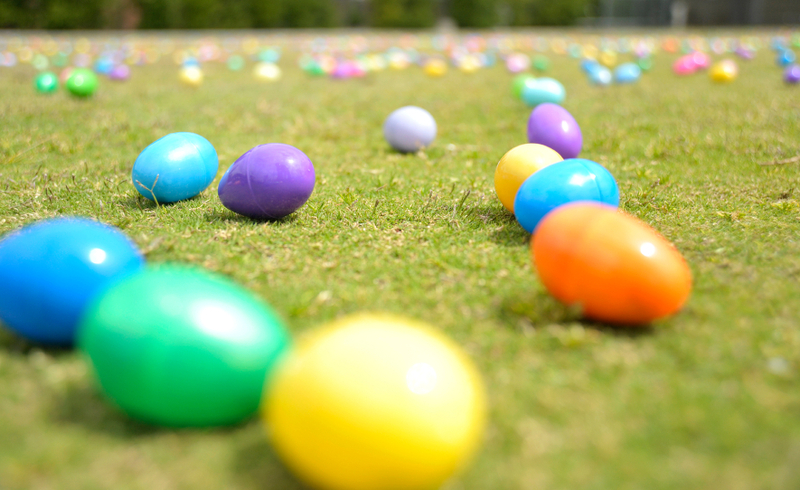 The Easter Egg Hunt begins at 10 am and kids will be able to search for more than 8,000 eggs filled with candy and surprises on the museums grounds. The Easter Bunny will be there for pictures and there will also be games, Easter themed crafts, and face painting. Every child that participates in the Easter Egg Hunt will receive a free wooden Easter Egg as a gift. Guest are asked to bring their own baskets to collect the eggs. The cost is free for Museum members, $18 dollars for adults and $15 dollars for children. Call 561-655-2833 for more information.